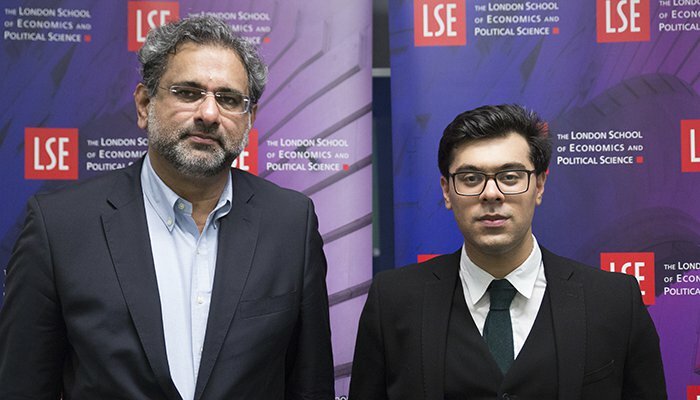 LONDON: The London School of Economics (LSE) confirmed and welcomed Prime Minister Shahid Khaqan Abbasi’s announcement of establishing the Jinnah Chair under the LSE South Asia Centre which would be funded by the government of Pakistan. LSE officials said that the Jinnah Chair will become the first-ever, dedicated and focused research agenda on Pakistan at a world-class higher education institute and become the first such research programme on Pakistan in the world. PM Abbasi made the commitment during his recent visit to the university to attend the Future of Pakistan Conference 2017 organised by LSE Pakistan Development Society in collaboration with South Asia Centre and Communication Research Strategies, Islamabad. It said that the research agenda will explore Pakistan’s constitutional democracy and focus on major aspects of Pakistan independent of relations with India or the war on terror. The announcement of the establishment of the Jinnah Chair has been welcomed by the LSE Director Minouche Shafik and the LSE South Asia Centre Director Dr Mukulika Banerjee. LSE Pakistan Development Society President Omer Azhar Bhatti was the lead organiser of the Future of Pakistan Conference. He said that the Prime Minister’s visit will go down in history books because this is the first time that the sitting PM of Pakistan has spoken at a truly world-class institution like LSE. “It will allow the world to view Pakistan through a different prism altogether, independent of terrorism and Indian conflict. The chair will provide excellent fellowship and research opportunities for all those who want to study and conduct in-depth research on Pakistan by providing fellowship and research opportunities,” he added.